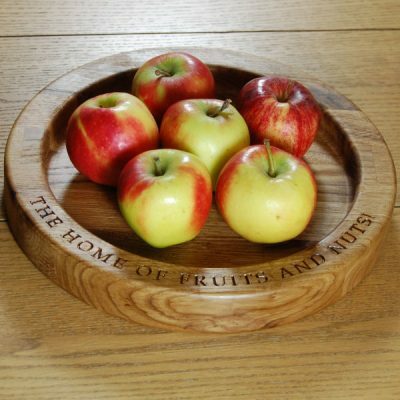 We offer a range of hand crafted engraved wooden bowls, from bespoke carved snack bowls to fruit bowls and sweet bowls. 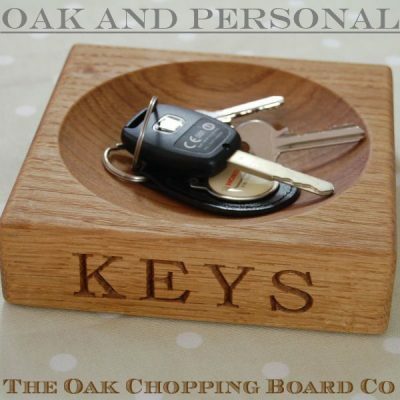 Each is made from solid oak and can be engraved with your chosen inscription. 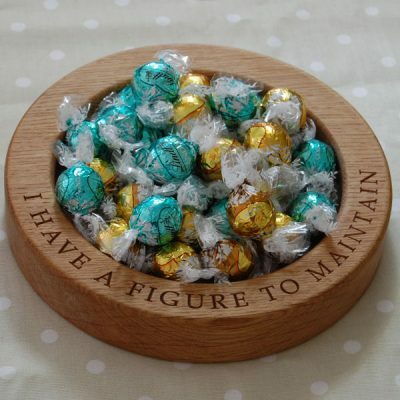 As with all our products they are designed, crafted and finished in the UK, and make the perfect gift for any occasion. 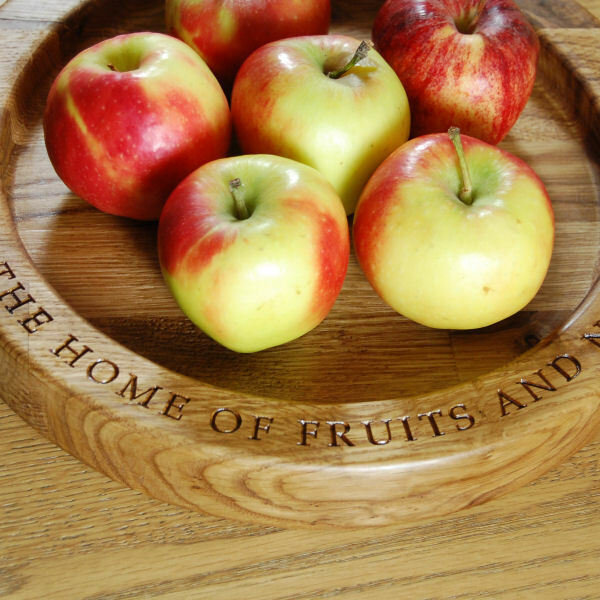 If you wish to add to your chosen engraving, we can further personalise the wooden bowl with a design from our range of 2D motifs. We can also create your very own unique personalised cipher. Personalised engraving is around the top of circular bowls, and motifs and ciphers are engraved in the centre of the bowl. For all other designs, your inscription will be engraved on the edge(s) of the bowl.